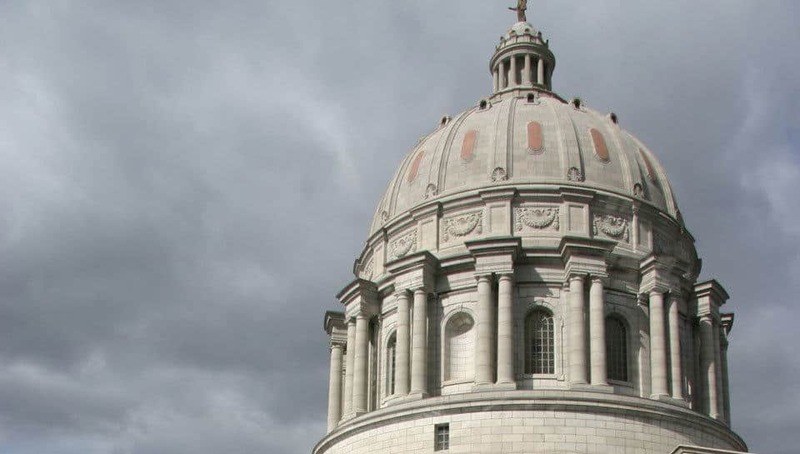 Missouri State Capitol Roofing Replacement - PWArchitects, Inc.
PWA’s approach from the outset of this project was based on the assumption that the initial scope of work needed to be re-assessed. During an initial meeting for the project, PWA team members pointed out that there was a real need to determine what the exact problems were, how they were occurring, and how they might be best solved within the budget. This discussion made it clear that the preferred approach to the project would be two-phase, with the first phase consisting of field investigations, a report, and basic Schematic Design and the second being Design Development and Construction Documents. Generate a report from a Study/Schematic Design phase in order to verify visual observations outlined in a previous facility report. Replace the EPDM roof assembly, associated flashings and insulation, and repair/rebuild the parapet walls as needed as discovered from the Study/Schematic phase. Following the Notice to Proceed in June of 2008 Brad Wright and Eric Roselle along with consultants from Mid-Continental Restoration Co., Inc. (masonry), Kirberg Co. (roofing), and Architectural Pro Council, Inc. (roofing) began field investigations. Several visits to the State Capitol followed both for further field work and for discussions with State of Missouri staff members. PWA then prepared a report to summarize those findings as well as a prioritized list of recommendations. Following a Notice to Proceed to Phase 2 of the project, PWA completed construction documents and construction administration services for the project.